We have all been to restaurants in touristy areas where the menu has some dubious translations. 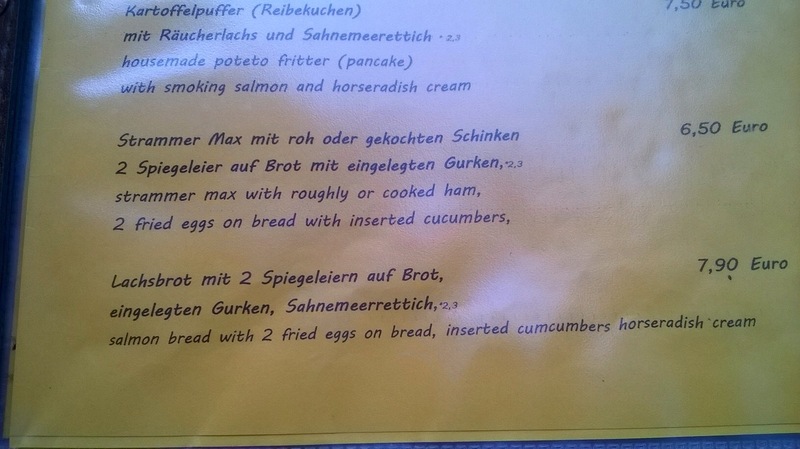 This one is from a nice place in my hometown, Zell, and I must admit I have never ordered either of these two dishes simply because I would not be able to keep a straight face!! I dread to think where the “cumcumbers” get inserted! So the moral of this story is, never trust Google Translate!